The Raine Inc. General Purpose Plate Carrier is a light weight kit and features top loading zippered plate pockets and low profile shoulder straps. There is ample molle and velcro hook/loop and an easy to navigate cummerbund adjustment system. The kit was originally designed and built in the USA for a SOCOM client and has the potential to be perfect for law enforcement and other end users. All in all, the Raine Inc. BLACK kit is made by a company that is focused on the end user and has become one of my favorite “go to” kits for everyday use. Recently, Raine Inc. introduced a new line of tactical kit called “BLACK”. 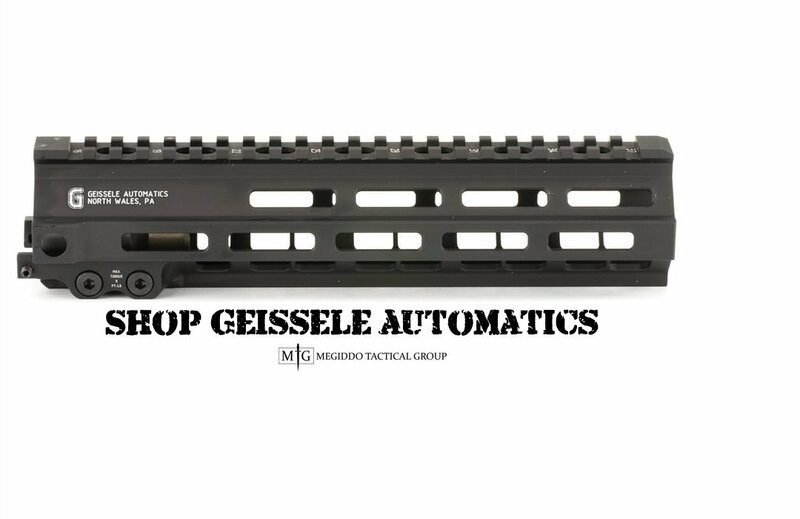 The kit is designed by operators for operators and is made right here in the United States. Aside from the quality workmanship, the Raine Inc. BLACK line is also surprisingly affordable! I was introduced to the BLACK line by Kino Davis of Dark Mountain Research. Kino explained to me that Raine Inc. had discreetly supplied quality gear to specialized military units for years but, just recently, they decided to come out of the shadows and release the BLACK line. I was intrigued, and decided to purchase the standard plate carrier with cummerbund. Unfortunately, Raine doesn’t make the BLACK line in ranger green so I ordered a coyote model as it looked like it would handle being spray painted well. Purchasing the plate carrier was completed easily with a quick phone call (800) 826-5354 (They answer their phones!). The plate carrier arrived quite promptly, as it was in stock (+1!). I immediately took it to the black sheep warrior rocks and decided to take as many detailed photos as possible before committing what felt like an act of treason………spray painting it OD green! The kangaroo pouch was designed for SSE and while mags fit, they are not retained well. A good clean piece of kit! The front of the Raine Inc. BLACK Plate Carrier looks very similar to most plate carriers in its class. It features 6 rows of molle webbing, one of which features color matching velcro loop. Speaking of velcro loop, I was very happy to see that Raine Inc. didn’t skimp on velcro loop as it is critical for law enforcement to display large gaudy ID panels that could be used for cool swag instead. The front also features a kangaroo slit pouch with internal elastic straps for securing SSE items. The kangaroo pouch is not however, suitable for securing magazine pouches as the original customer (a SOCOM unit) requested that it be set up for the sensitive site exploitation (SSE) mission set. I personally would like to see this reversed for law enforcement customers as it would require minimal adjustments to work just fine. The kangaroo pouch has a liner that appears waterproof but no drain hole that I have discovered. You can use the kangaroo pouch for magazines but the elastic was designed for larger items and will not firmly secure the magazines leaving them loose in the wind. Lifting the kangaroo pouch reveals a substantial amount of velcro hook and loop used to secure both ends of the cummerbund. Tabs on the end of each panel make adjustments easy and I have yet to come across any issues with the hook & loop’s strength. The Back of the Raine Inc. General Purpose Plate Carrier is almost identical to the front in that it features the same 6 rows of molle webbing along with a generous amount of velcro loop. As stated above, the back also features an access panel to make adjustments to the cummerbund. The back also features a drag handle that is quite substantial, a feature that becomes immediately apparent upon grasping it. This is definitely a plus as the drag handle is the last thing you want to break in the heat of battle and this one appears strong enough to take a beating during training as well. The drag handle features a small square piece of velcro hook that is used to attach it to the ID panel loop for storage. This is an important feature as drag handles have been known to hook on low hanging branches and other obstacles which is inconvenient to say the least. The drag handle is “over engineered” and is secured over the full length of the kit. In fact it is probably the last part of this kit that I could imagine failing. The Raine Inc. Black General Purpose Plate Carrier features a light weight cummerbund with 3 rows of molle webbing both inside and out. The 3 rows of molle webbing are just the right size, providing stability for longer items like radios and knives while not creating extra bulk and weight. Raine Inc. keeps a “major/minor” mindset in regards to cummerbund adjustability. The major adjustment is the cinch cord and the minor are the vertical T-handles in the cummerbund itself. Adjusting the cummerbund on the fly is easy and I frequently make adjustments depending on whether or not I’m deploying a soft armor solution. After dinner/donut adjustment are even easier as they only require an adjustment via the velcro under the kangaroo pouch. The T-handles are ingenious and relatively easy to adjust even in low light. Hook & loop assists in securing the adjustments. When properly fitted, the T-handles blend in with the rest of the cummerbund and don’t leave any surfaces that could otherwise cause chaffing. The cinch cord adjustment should prove familiar as many kits are set up this way. The important notes regarding this particular cummerbund are an appropriately strong elastic (won’t sag or give too easily) and a low profile cinching cord mechanism. The cinching mechanism doesn’t protrude and sitting in a vehicle is not uncomfortable. Anyone who has spent some time wearing a loaded plate carrier knows that the straps either make or break the kit. If the straps are too padded then they become bulky and interfere with assault packs and weapon slings. On the flip side, if they are too narrow they will dig into shoulders and cut off circulation. I initially had my doubts about the straps, however, after using the kit for two days, I was surprised that the low profile straps were the most comfortable straps I had ever used on a plate carrier. I have continued to use the kit for over a month and have yet to figure out why, as they don’t offer any a ton of padding and they are not overly wide. So, I’m going to cautiously say that I found them surprisingly comfortable and that your experience may be different depending on your body type and load out. Raine Inc. covered the G-Hook with elastic to cut down on noise and avoid wearing off the finish. Padding on the back of the kit helps with air flow. Using assault packs with weapon slings is a breeze and you don’t even really notice that the plate carrier is taking up real estate on your shoulders. As with the cummerbund, Raine Inc. a “major/minor” adjustment approach to the shoulder straps. The major adjustments are made utilizing hook & loop and the minor adjustments are handled by the ITW Nexus G-Hooks described below. The shoulder straps feature vertical molle webbing that is primarily used to secure the front plate pocket to the strap by way of the ITW Nexus G-Hook hardware. The webbing has also proved useful for securing radio mice and surveillance ear pieces. The straps connect to the backside of the front plate pocket with velcro hook & loop therefore making them adjustable. However, on the back plate pocket, they are permanently sewn and secured with all adjustments being made by way of the front. The velcro hook & loop in itself, while strong, is supported by the ITW Nexus G-Hook. The G-Hook provides rock solid support to the strap and relieves stress from the hook and loop. The G-hooks lay very flat and are covered in elastic to avoid wear to the finish and sound signature from contact with other metal parts. The shoulder strap system isn’t only thin and comfortable but is also a completely fresh approach which shows that Raine Inc. is more interested in innovation than simply knocking off a prior design. The main plate pockets are top loading with zippered access. This is the first time i have seen this type of set up and it really is convenient! Both plate compartments feature heavy duty zippers and open revealing spacious plate pockets. Heavy duty hardware like these zippers show that Raine Inc. means business. Adding plates is as easy as opening a back pack. The particular kit I ordered supports both large and X-large plates. The only negative feature I found was that the plate pockets don’t have water drain holes which I believe should be standard (Raine Inc. will add them if your mission set dictates it). The Raine Inc. General Purpose Plate Carrier is made in USA and Berry Compliant. It comes in two sizes: Small/Medium and Large/XL. It is available in four colors: ABU, Black, Coyote and Multicam. 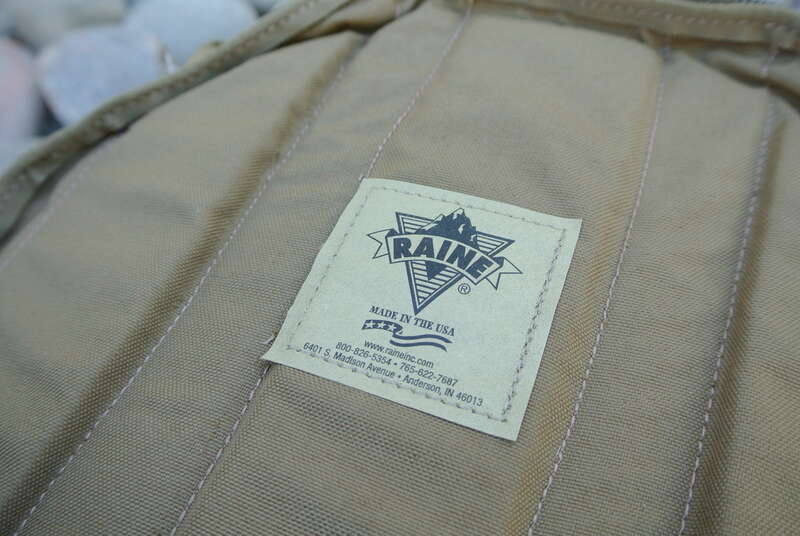 Raine Inc. utilized a low IR 500D nylon fabric and high quality zippers/buckles. The the entire kit has an “over stitched” feel to it and its very apparent that its designers were current end users themselves. the devil is in the details and Raine is all about the details. Stitching is ample which is what you would expect from quality kit. The kit was originally designed and built for a SOCOM client and has the potential to be perfect for law enforcement and other end users. Have you used the Raine Inc. General Purpose plate carrier? Leave a comment and share your experiences!